Sessions are scheduled below online only-PLEASE SCROLL DOWN FOR AVAILABLE TIMES! Please arrive a few minutes early for your reading session—this will help keep us on schedule so that we are able to accommodate everyone who has an appointment. Please check in at the front desk when you arrive. You will need to sign in, sign a release form, and select your book. Parent(s) are required to stay with their children for the duration of their reading session. Parents should silence and put away cell phones and electronics during the reading session. There must be at least 1 parent per reader. Since the focus of this program is on breaking down barriers for the reader, please do not bring friends, siblings or extra children to participate in your reader’s scheduled session. Please Note: Parents who come with 2 or more children at once will be allowed to participate in a reading session but the length of the reading session will be shortened so as not to stress the cat. It is preferable to only have 1 child per reader session. If you have children scheduled for back-to-back appointments, siblings and/or friends may visit other areas of the shelter during the reader’s session, provided that they are accompanied by another adult at all times. The focus of the program is reading—please do not pick up or handle the animals—we want the session to be an enjoyable experience for them too! In the unlikely event that your child is scratched or bitten, please inform our staff immediately. Please check out at the front desk, returning the book and giving feedback before you leave. 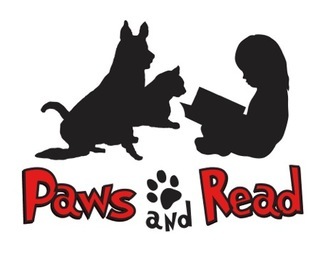 If you have any questions about the Paws and Read program, please contact Jennifer Katac at (703) 931-9241, ext. 213.